The Junior League of Austin proudly supports the efforts of our Done-In-A-Day partners with volunteer support for community events. Done-In-A-Day is a series of concentrated projects that provide assistance to non-profit agencies by offering volunteers for community-based events on a short-term basis. Volunteers can provide support at a variety of events including fundraisers, however volunteers may not solicit funds or goods for an agency prior to or during an event. Done-In-A-Day volunteers can help with events such as picnics, food bank distribution, holiday parties, egg hunts, 10K race water distribution, children’s shoe collection and delivery, just to name a few areas of assistance. Volunteer placements are generally scheduled in four-hour shifts over a time span of half-a-day, one-day or two-day periods. 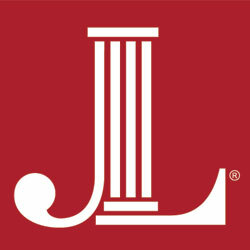 Applications are to be submitted online at www.jlaustin.org. Please click here or on the following link to access the 2018-2019 online application. In the event you have a last minute or emergency need for Volunteers, please submit a Done-In-A-Day Emergency Application. The application will be reviewed and you will receive a response quickly. Please do not forget to state in your application why this is an emergency or your application will not be considered. Please click here or on the following link to access the emergency application. Emergency applications must be submitted at least one month before the event, in order to obtain approvals and recruit volunteers. We will not be able to approve applications submitted less than one month before the event. Please confirm that your non-profit agency is on the mailing list to receive notices for future project orientations and application deadlines by emailing dnanez@jlaustin.org.